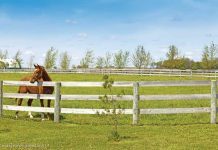 Your gorgeous mare may have the temperament, conformation, bloodlines and talent to warrant breeding, but her age is an important consideration too. While it’s not uncommon to find mares bred during their 20s, fertility and foaling rates decline after 14 to 16 years of age. 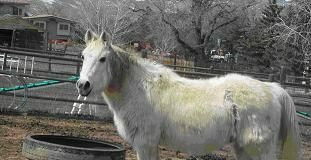 Pregnancy losses during late gestation increase in older mares and failures during early pregnancy are even more common. Source: “Reduced Reproductive Efficiency in the Aged Mare: Role of Early Embryonic Loss,” B.A. Ball, University of California, Davis. i know a mare that had a foal at the age of 27 years old, the owners neverintended to breed her to a stallion.she is still alive and beign wel taken care of. Thanks!! Even through many of my little books I have not been able to find the best age to discountinue breeding my little mini mares! Good article. My aunt has a Quarter Horse mare in her late teens still being bred. She is the perfect, model broodmare, but I have still worried about her these last few years. With the last three foals, my aunt as given her a year off in between each foal, and the mare is still doing well. Thank you for the info.